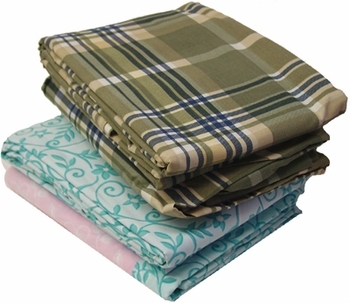 Our XL Twin 200 thread count sheet sets are offered in four fun patterns. Ideally sized to fit your extra long college dorm bed. Stock up now at our discounted price and be ready for next semester. 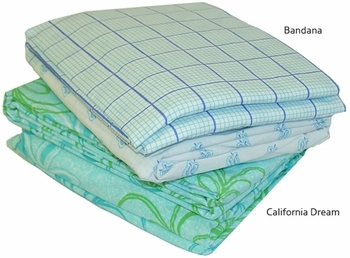 Sheet sets include: 1 top flat sheet, 1 xl twin bottom fitted sheet and 1 standard pillowcase. 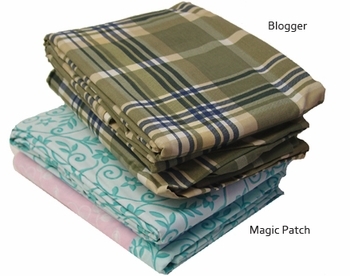 Blogger, California Dream & Bandana: 50% cotton/50% polyester. Magic Patch: 60% cotton/40% polyester.